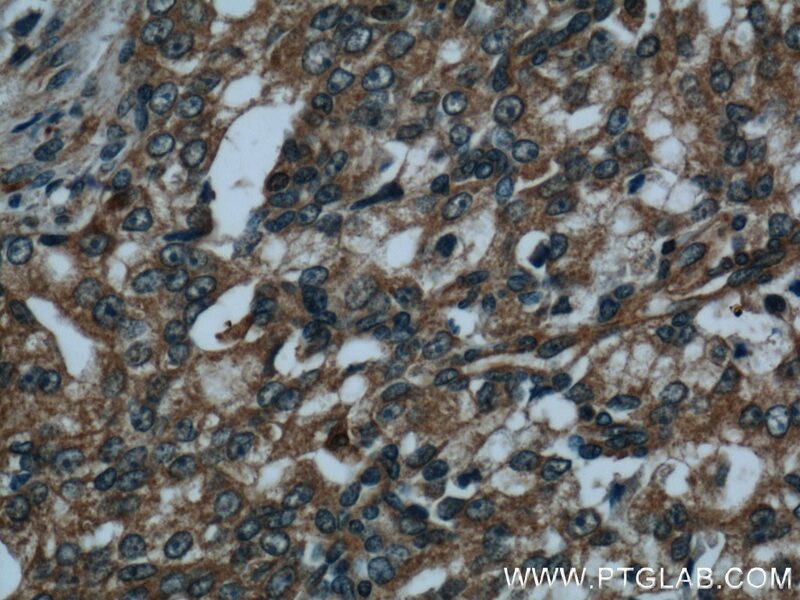 Immunohistochemical analysis of paraffin-embedded human prostate cancer tissue slide using 10929-2-AP( AMPK alpha 1 antibody at dilution of 1:200 (under 10x lens). 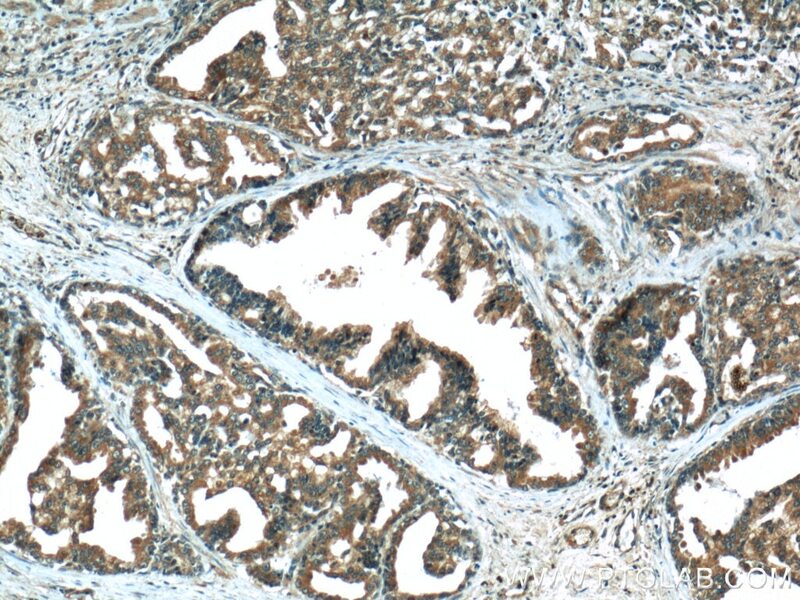 Immunohistochemical analysis of paraffin-embedded human prostate cancer tissue slide using 10929-2-AP( AMPK alpha 1 antibody at dilution of 1:200 (under 40x lens). 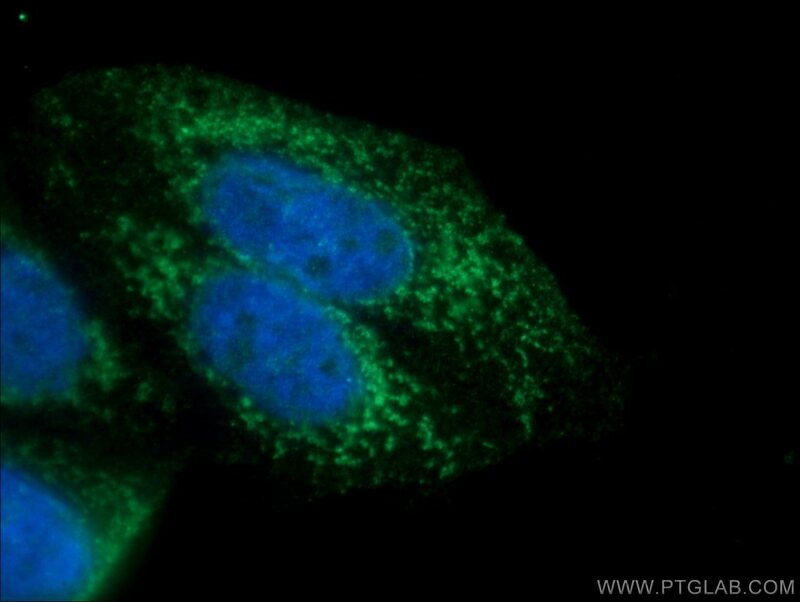 The mammalian 5-prime-AMP-activated protein kinase (AMPK) appears to play a role in protecting cells from stresses that cause ATP depletion by switching off ATP-consuming biosynthetic pathways. PRKAA1 is also named as AMPK1, ACACA kinase, HMGCR kinase. It is a mammalian homologue of sucrose non-fermenting protein kinase (SNF-1), which belongs to a serine/threonine protein kinase family. It has 2 isoforms with molecular mass of 63-66 kDa produced by alternative splicing. Hydrogen sulfide decreases high glucose/palmitate-induced autophagy in endothelial cells by the Nrf2-ROS-AMPK signaling pathway. Catalpol ameliorates hepatic insulin resistance in type 2 diabetes through acting on AMPK/NOX4/PI3K/AKT pathway. AMPK deficiency in chondrocytes accelerated the progression of instability-induced and ageing-associated osteoarthritis in adult mice. 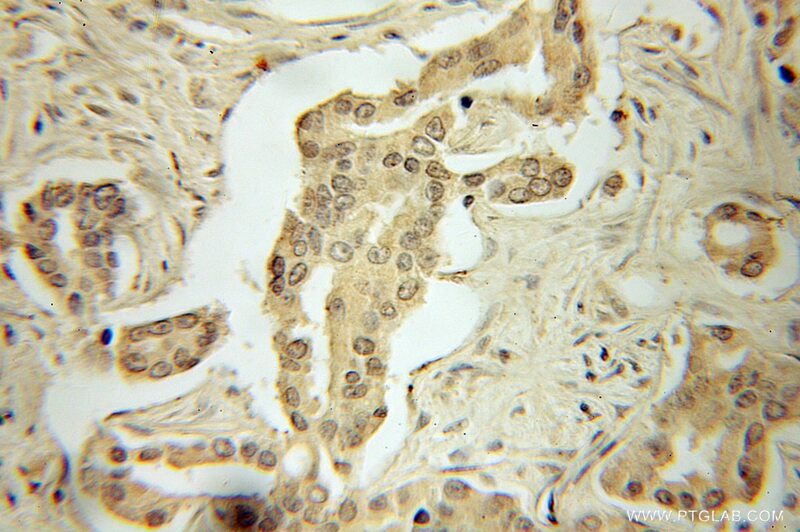 Berberine-induced autophagic cell death by elevating GRP78 levels in cancer cells. Resveratrol ameliorates diet-induced dysregulation of lipid metabolism in zebrafish (Danio rerio).